Secretary of the Interior David Bernhardt is a former lobbyist whose former employer lobbied the Interior Department on behalf of interests that were involved in at least two inspector general investigations into Bernhardt’s predecessor at Interior, Ryan Zinke. CREW requested Bernhardt’s communications with his former employer, and with Halliburton Energy Services and MGM, the clients involved in the investigations. On October 16, 2017, Secretary Bernhardt met with former Interior Secretary Gale Norton, who was registered to lobby on behalf of MGM Resorts. 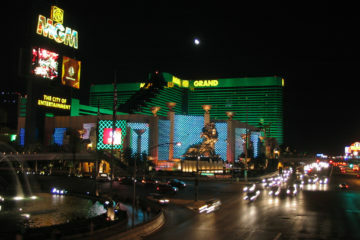 Secretary Bernhardt’s former employer, Brownstein Hyatt Farber & Schreck, also represents MGM. Under then-Secretary Ryan Zinke, the Interior Department decided not to grant the Mashantucket Pequot and Mohegan tribes’ petition to operate a casino in Connecticut following MGM’s lobbying campaign opposing the petition. 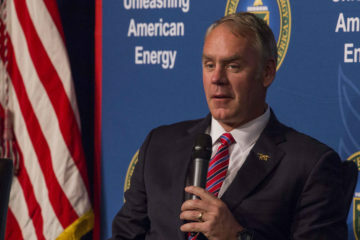 This lobbying effort led to an investigation by the Office of the Inspector General, which in turn reportedly referred Secretary Zinke to the Department of Justice. 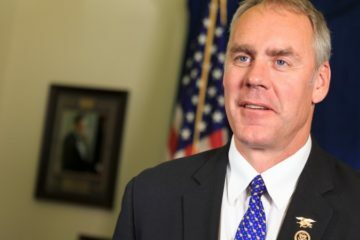 A grand jury examined whether Mr. Zinke lied to investigators. Secretary Bernhardt also previously represented Halliburton Energy Services. Secretary Zinke’s involvement in a land deal connected to Halliburton was the subject of an additional Inspector General investigation that was also reportedly referred to the Justice Department. The requested documents would shed light on Secretary Bernhardt’s involvement with companies connected to investigations into former Interior Secretary Ryan Zinke. There is a strong public interest in accessing this information, given Secretary Zinke’s potential criminal liability in the investigations connected to Halliburton and MGM. It is in the public interest to know if Tufts was appointed in order to influence the outcome investigations into Secretary Zinke, and if she is qualified to oversee them. Secretary Zinke's calendars have considerably less detail than they did before. The requested records would shed light on whether and how deep-pocketed, well-connected special influences affected the decision of federal policymakers.